Flash technology has developed at a rapid pace over the past five years, to the point where it has become a lot more affordable and plug-and-play compatible. While the three-to-five-year rip-and-replace storage lifecycle has defined the industry for decades, companies who’ve been keeping their nose to the innovation grindstone know the era of flash storage is definitely here and ready for large-scale use by organisations of every size. Future-proofed and evergreen – Legacy vendors are addicted to the unfriendly business practice of making you rebuy the same storage every few years, and raising out-year maintenance fees in order to force such repurchases. It’s as if your mortgage broker turned up five years after you moved into your home and threatened to raise your monthly payments twofold unless you agreed to buy a new house down the street. It’s not just the money—switching houses disrupts your life, something will get broken and something lost. Significant cost reduction – There is a common misconception that all-flash storage is unaffordable. But with a range of deduplication, compression and other data reduction methods, flash solutions can be offered at more affordable prices. Thanks to consumer grade MLC flash, enterprises and SMEs can take advantage of flash storage. Not only are the costs per gigabyte significantly lower than disk storage, all-flash boosts the overall productivity of your organisation by paying for itself in about a year. Such is the case for Australian advisory and investment firm, KordaMentha. The organisation’s legacy storage model resulted in massive maintenance bills, so it turned to all-flash. This will deliver a saving of AU$400,000 on maintenance and replacement costs over the next four years. Higher performance – More and more companies are challenged trying to accommodate large volumes of data. This is particularly important for organisations with virtualised servers and virtual desktop environments, as they require fast performance to support sporadic spikes in workloads. This challenge stretches across a range of industries; whether it’s data generated by hundreds of cases within a law firm or by thousands of online student enrolments for a university. This is where flash comes in. It equips your business with a storage infrastructure lifespan of more than a decade. Modern protocols such as NVMe are going to supplant the disk legacy because they enable dramatically (think 100x) higher levels of conformity between the storage controller and medium. 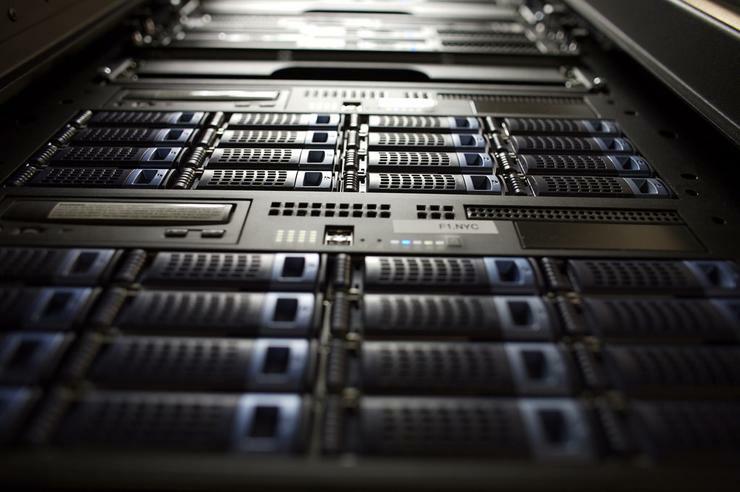 Flash storage is designed to take advantage of this new technology. It provides a model which enables you to purchase and deploy storage once and upgrade it in place for generations as needed, without any downtime or data migration. This is a leap we expect will be difficult for the disk-centric designs. A good example is Henry Davis York, a leading Australian law firm which required higher performance for its evolving data environment. With its legacy storage system, performing tasks such as setting up an infrastructure request to stand-up a new virtual server from a template took more than ten minutes. After moving to an all-flash environment, that same task takes about one minute – a 10x reduction. As a result, business reports run faster, saving time which is significant to the business. This is just one example of why flash is pushing hard drives out of the latency path of performance intensive applications. As we take the leap into the modern data centre, it makes no sense to continually rely on technology that is more than twenty years old, designed before flash, cloud, virtualisation and DevOps. It’s time to embrace flash as the next evolution in storage and transform your business.